SOCHI, February 24. /ITAR-TASS/. 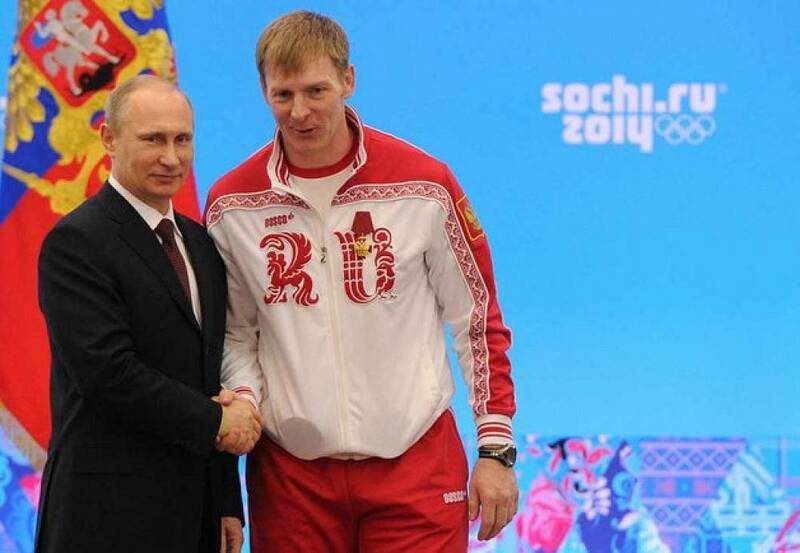 Russian President Vladimir Putin handed state awards to 49 medal-winning Olympic athletes. 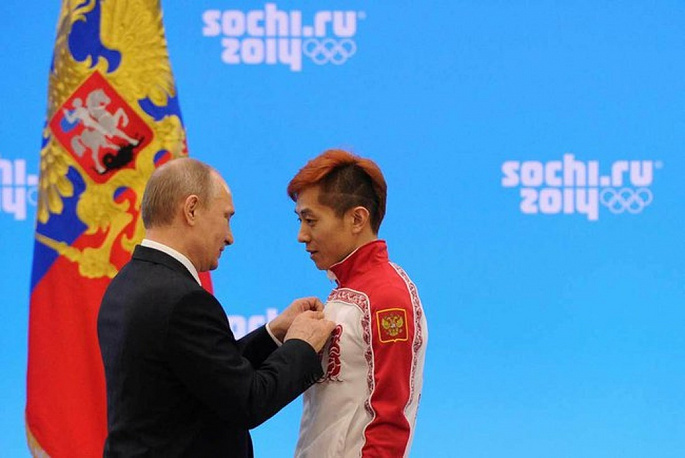 Short track racer Viktor Ahn, snowboarder Vic Wild, bobsledders Alexei Voevoda and Alexander Zubkov and figure skaters Tatyana Volosozhar and Maxim Trankov received the Order For Merit to the Fatherland 4th class. 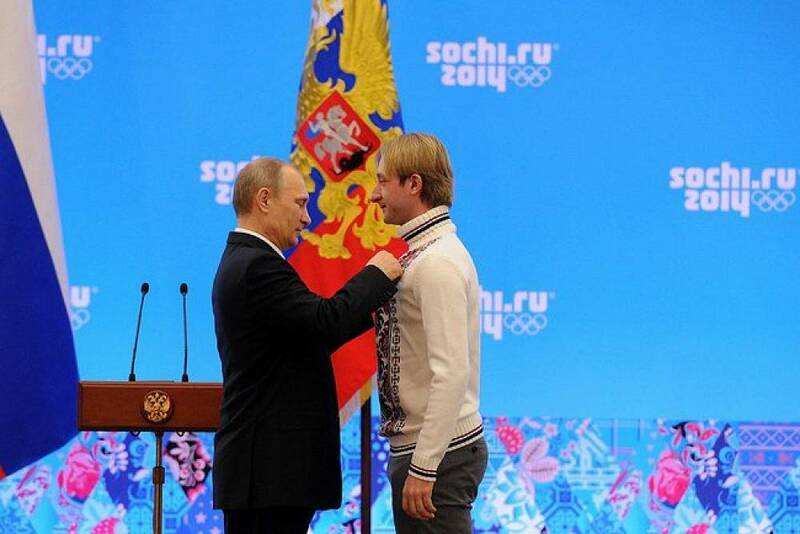 Figure skater Evgeni Plushenko, biathlete Evgeni Ustyugov, skier Maxim Vylegzhanin and luger Albert Demchenko received the Order of Honor. 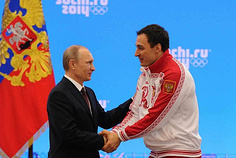 Most athletes were decorated with the Order of Friendship. 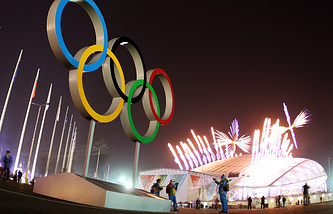 They include figure skaters Ekaterina Bobrova, Elena Ilinykh, Nikita Katsalapov, Fyodor Klimov, Yulia Lipnitskaya, Adelina Sotnikova, Dmitry Solovyev, Ksenia Stolbova; biathletes Alexei Volkov, Dmitry Malyshko, Anton Shipulin, Olga Vilukhina; short track racers Vladimir Grigoriev, Semyon Elistratov, Ruslan Zakharov; skier Alexander Legkov; bobsledders Alexei Negodaylo, Dmitry Trunenkov; and skeleton racer Alexander Tretyakov. 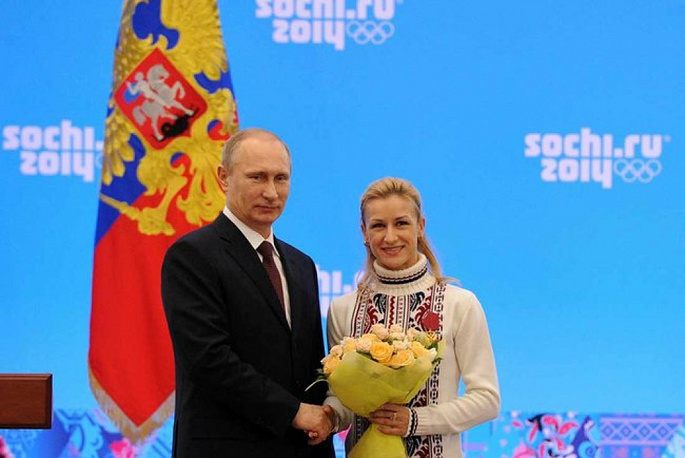 Medals of the Order For Merit to the Fatherland 1st class were awarded to lugers Vladislav Antonov, Alexander Denisyev, Tatyana Ivanova; skiers Alexander Bessmertnykh. 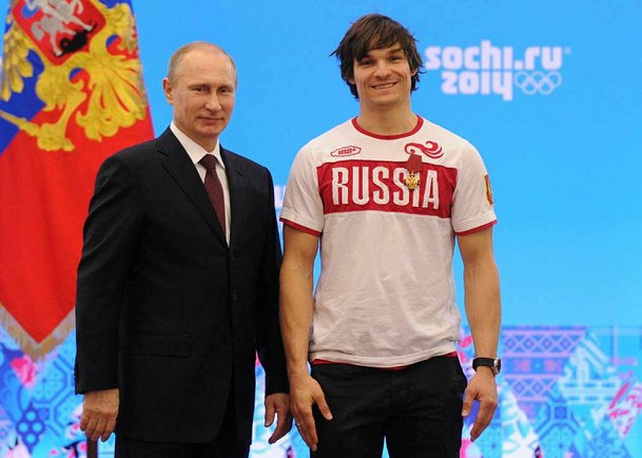 Nikita Kriukov, Dmitry Yaparov; biathletes Olga Zaitseva, Yana Romanova, Ekaterina Shumilova; snowboarder Nikolai Olyunin, and speed skaters Olga Fatkulina, Olga Graf and Ekaterina Lobysheva. 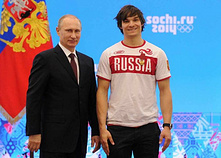 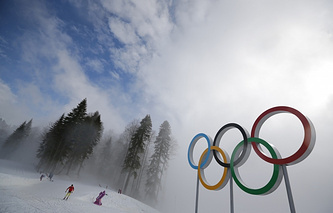 Biathlte Evgeni Garanichev, snowboarder Alena Zavarzina, skeleton racer Elena Nikitina, speed skater Yulia Skokova, freestyler Alexander Smyshlyaev, skier ilya Chernousov and speed skater Ekaterina Shikhova received the Order For Merit to the Fatherland.